TXDMV- Guidance on Processing "Licensed Vehicle Storate Facilty Lien Foreclosures"
The Texas Department of Motor Vehicles (TxDMV) has provided guidance on processing “Licensed Vehicle Storage Facility Lien Foreclosures” to county tax assessor-collectors across the state through the Registration and Title Bulletins (RTB) offered below. 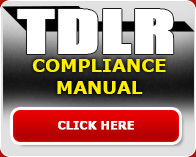 On behalf of the TxDMV, we are sending you links to these bulletins for your review. 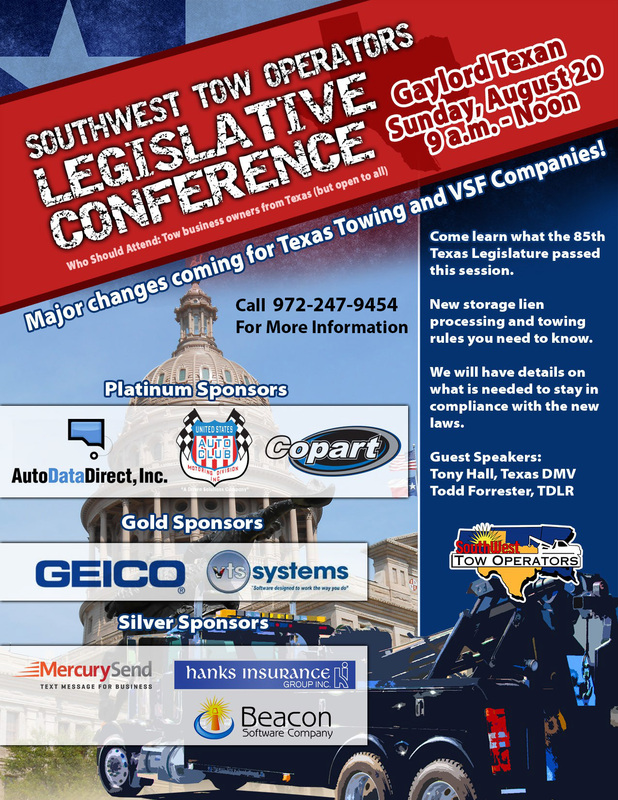 Additionally, TxDMV will be hosting two webinars for licensed vehicle storage facilities on July 18. These webinars will provide you with an explanation of the changes and allow you to ask any questions you may have regarding these changes. Information on these webinars can be found at https://content.govdelivery.com/accounts/TXDMV/bulletins/1a9441f"
If you have additional questions, please contact your local county tax assessor-collector’s office or your TxDMV Regional Service Center. 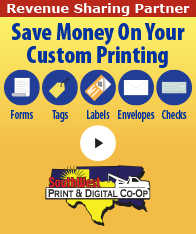 Contact information for these outlets can be found on the TxDMV website athttp://www.txdmv.gov/contact-us" under the “Find Your Local Office” tab. Our top priority, to fix several storage lien issues, was included in this bill. Another STO initiative, to allow relocates and to allow a warning sticker as notification for expired tags was also in this bill. SB 1501 will require tax offices to accept proof of MAILING in order to process a storage lien. It will also allow us to sell a vehicle even if the notification is sent out late. We work with a group of lienholders to get this in the bill and to do that we had to give them some small concessions. Overall, it is a huge benefit to the towing and storage industry, while helping the lienholders as well. SB 1501 also makes the abandoned report to law enforcement required ONLY IF REQUIRED BY THE LAW ENFORCEMENT AGENCY. Unfortunately, we did not get a daily storage rate increase this session. We tried hard to get this done, but couldn’t get it to the finish line. There was no one willing to carry our bill. We will continue to fight for this and find a way to get it done next session. Also, our main clean-up bill did not succeed. However, we combined our clean- up bill with the TTSA comprehensive bill and worked with them to get each association’s issues addressed. Unfortunately, the TTSA bill did not make it. This has been the most stressful, but the most successful session the towing industry has had in many years. We have had more cooperation between associations and more people involved than ever. Thank you to all of you who showed up at the Capitol to testify, offered support, etc. Also, a big thank you to everyone who made phone calls to your representatives and others on these bills. The visits and phone calls go a long way and are noticed. The dual towing/VSF license has been eliminated. Licensed tow operators will now be able to work in a VSF without a special license. State booting operator and company licenses were repealed. Booting will now be regulated at the local level. The Towing and Storage Advisory board will now be made up of nine members, 5 industry members and 4 other (2 law enforcement, 1 insurance, and 1 parking facility representative). We will have an opening for a new towing/VSF member since the booting member has been eliminated. We will now have more representation from industry than from “other” which is a very good thing. REMEMBER: These changes are not effective yet. Effective dates will be sent out with more detail later as it becomes available. We will begin working on the next session this summer. We still need your help. Lobbyists and attorneys are expensive and it takes a lot of support to get things done legislatively. Give a personal donation to our PAC fund to support good legislators. Get to know your state senator and representative. Let them know you are in the towing business and are here to help. Sponsor a fundraiser for them or put up signs. Representatives have to run every two years, so they need a lot of help. Help us keep the momentum going so we can get a rate increase next year. It has been 12 years since our last increase! 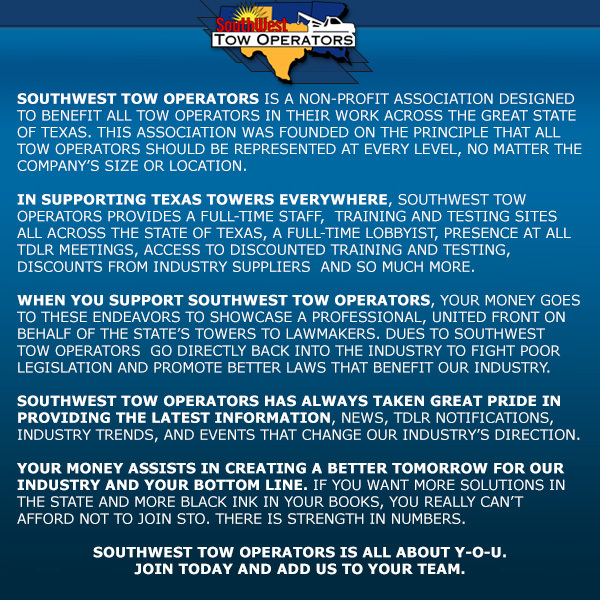 Southwest Tow Operators’ Board & Legislative Committee.